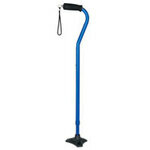 …small space. 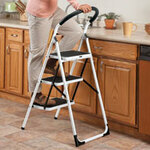 * Reach higher and easier for independence at home. 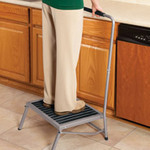 * Stepping stool's bright red design improves visibility. 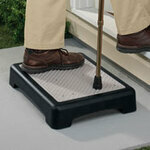 * Non-slip rubber treads help make stepping safer. 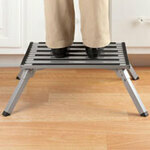 * Sturdy plastic construction supports up to 330 lbs. 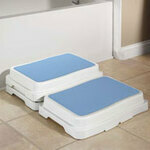 * Folding stool measures 13"H when open; approx. 17"H x 2"W when folded.